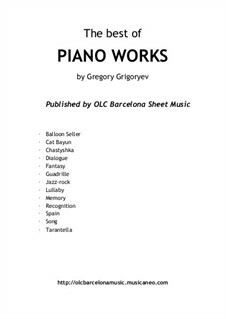 This is a compilation of 13 pieces for piano originally written by Gregory Grigoryev. Feel free to have a look to the score preview and sound samples, quality guaranteed. Contact us or see our FAQ if you have any questions.